Africa's youngest billionaire was kidnapped. He was kidnapped this morning by gunmen in the Tanzanian economic capital Dar es Salaam. 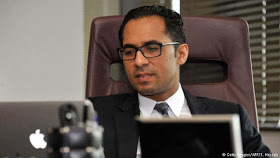 Mohammed Dewji, 40, who heads the MeTL Group, which operates in approximately 10 countries with interests in agriculture for insurance, transportation, logistics and the food industry, was caught while entering the gymnasium of a hotel in the city. "Initial information suggests that he was kidnapped by whites who were traveling in two vehicles," the region's governor Paul Makonda told reporters, adding that "this type of incident is new here." Dares Salaam's police chief Lazaro Mambosasa also involved foreigners in the crime during a press conference, adding that they "shot in the air" before pushing Dewji into their car. He said the police are looking for suspects and have already made arrests.